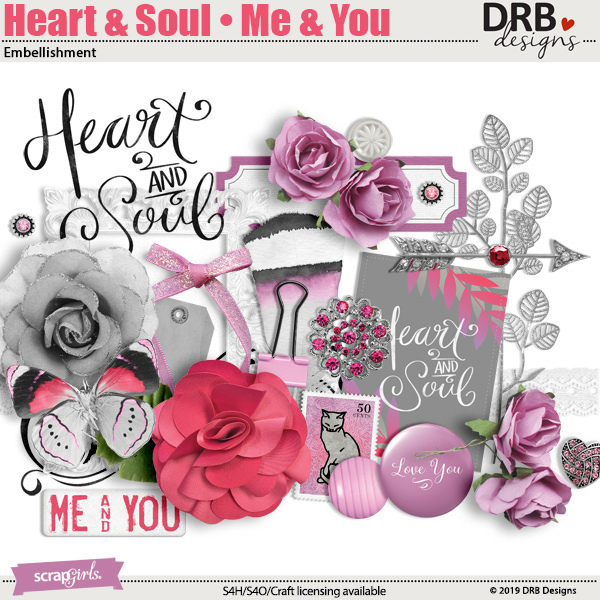 Create romantic cards, tags, pages and other crafts for Valentine's Day and beyond with the Heart & Soul • Me & You Collection Mini. All embellishments are also saved on an 8.5x11 inch document for easy printing for paper scrappers and crafters. 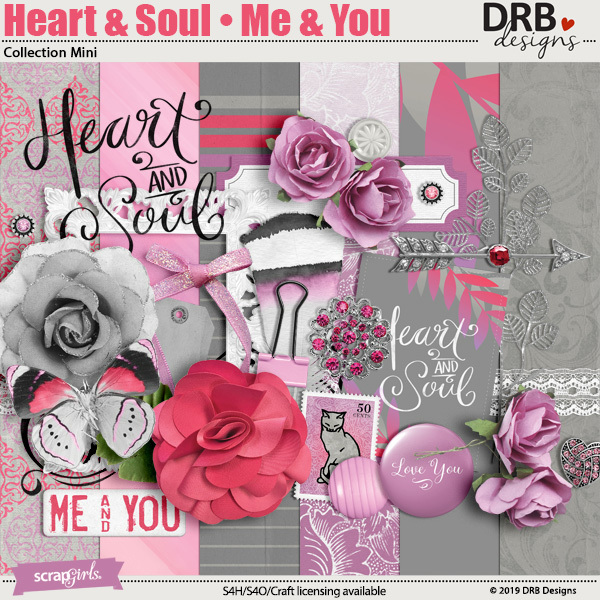 Create adorable layouts, cards and more for your Valentine with the Cupid's Heart Collection Mini featuring watercolor paper & embellishments. 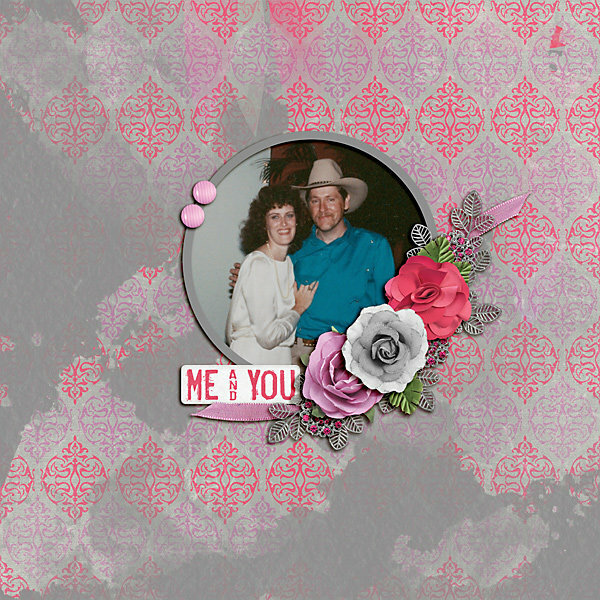 Have fun creating a layout about someone you love using the Love Machine Nano Collection. 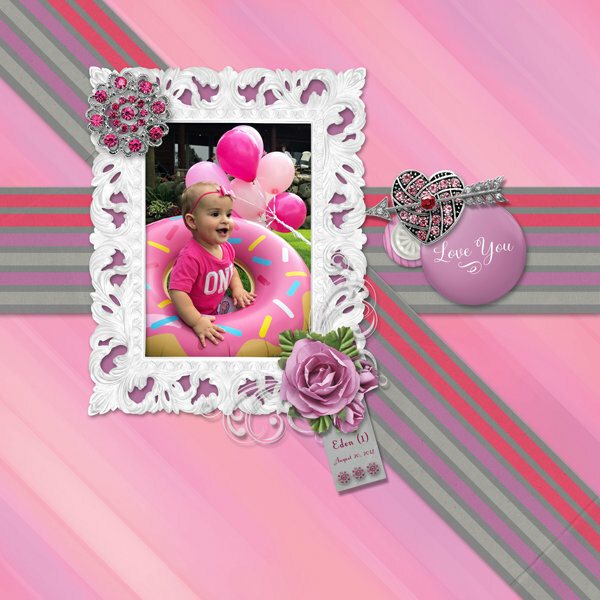 Create some layouts or Valentine's Day cards your for Sweeties with the Sweetness Collection. 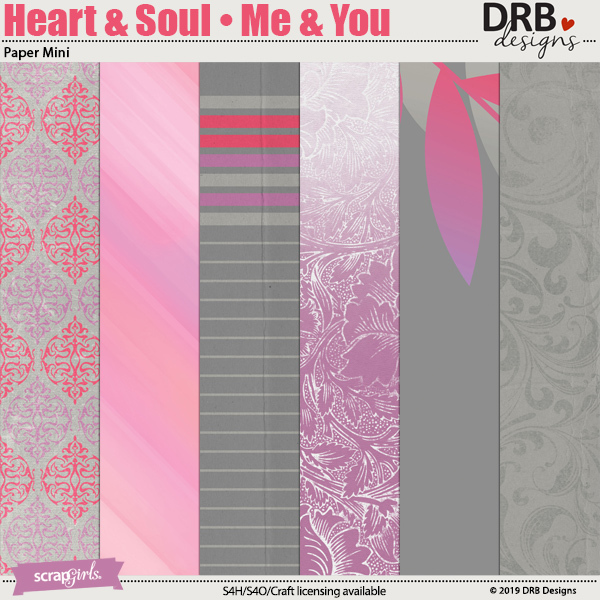 ScrapSimple Digital Layout Templates: Big-Hearted includes four, 12x12 inch, layered PSD files that feature a layer with a large heart cutout and masks for you to fill the spaces in with paper, color, textures or layer styles. 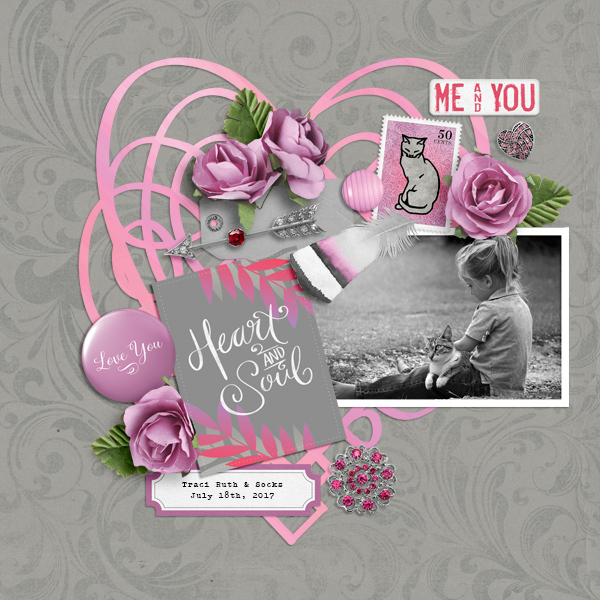 You will love creating heartfelt pages, cards, tags and more with this vintage inspired collection. 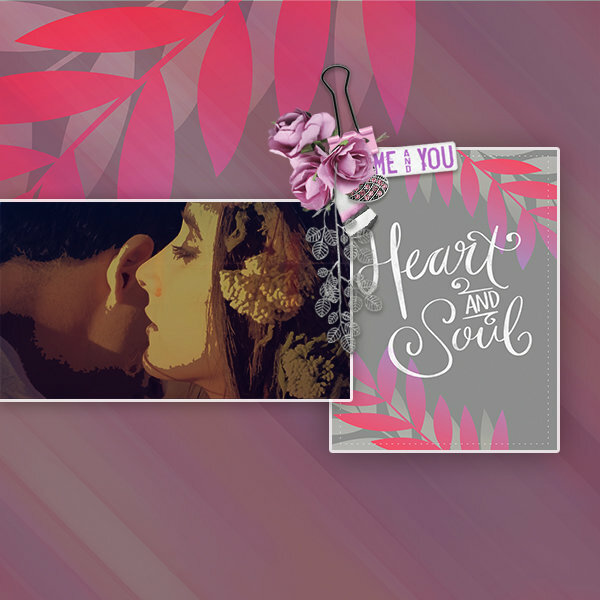 You'll be inspired to create amazing digital scrapbook albums, greeting cards, tags and more with the Recollections Collection Mini! Here is a set of 16 beautiful and useful heart shapes that are saved as a Photoshop Shape Set. You will receive a Photoshop CSH file plus 16, high-resolution, aprox. 5-6-inch high or wide PNG files. Compatible with Photoshop and Photoshop Elements. I love adding multiple photos and this product makes it a snap! All the design placement is done for you.